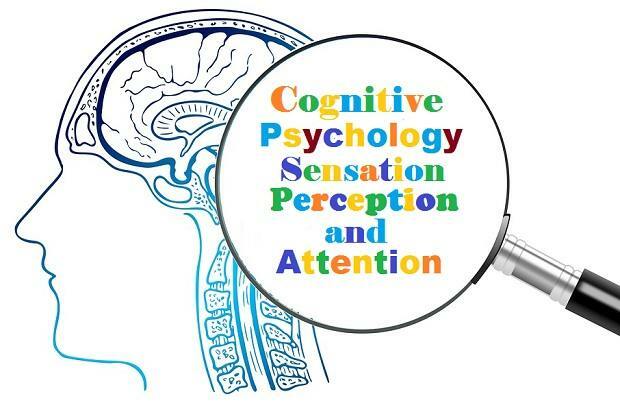 Cognitive psychology encompasses various psychological processes such as neuroscience, attention, memory, sensation, perception, intelligence, emotions, thinking, visualization, and other processes. Ancient and modern scholars have been associated with man's mental and intellectual activities practiced by various life situations such as thinking, attention, perception, cognition, remembering and many others. It is worth mentioning that the separation of psychology from philosophical sciences in the modern era led to the expansion of the areas of focus and research in human knowledge and mechanism. To show the knowledge of science within the psychological sciences, modern scholars are interested in studying the mechanism of mental processes at all levels, and ways of promoting mental health, methods of recruitment and selection, and how to benefit from them and how to encourage cognitive development in middle childhood, as well as methods of processing information during the individual's processes of remembering, perception, thinking, problem-solving, and others. Cognitive psychology talks about how humans acquire information about the surrounding world in a scientific way, and how to transform this knowledge into representative knowledge that can be exploited and used to change their lives and evaluate their behavior. Cognitive psychology encompasses various psychological processes such as neuroscience, attention, memory, sensation, perception, intelligence, emotions, thinking, visualization, and other processes that are related to the human mind, the nature of its thinking, and thus its intellectual development. The cognitive scientists are interested in a wide range of psychological concepts that help answer the following questions: how do people know, how they remember, and how they acquire knowledge? Ulric Neisser defined cognitive psychology as all methods and processes carried out by the human to transfer information and sensory inputs and then processed by interpretation and conversion and shortening, and the latest storage to be recovered later and used when needed. This definition shows the mechanism of cognitive psychology, which performs all human mental processes, which are performed when the human receives information, processing, storing, retrieving, and using it in the process of directing human activity. Stephen Reed defined cognitive psychology as the science that is called the science of information processing. Studies and research conducted in cognitive science have reflected great development. The most prominent studies of cognitive psychology, whose applications have spread and emerged in different sciences, which have clearly emerged in academic and psychological sciences. The contents of these sciences are the curricula and methods of teaching, and special education, mental health, individual differences, and others. Cognitive psychology contains many theories, methods, and principles that are used in the analysis and interpretation of mental phenomena in humans. These theories were derived from twelve areas that are the main areas of scientific research. Perception is one of the most important topics of psychology because it is concerned with the detection of sensory stimuli in humans and thus their interpretation and statement. There is cooperation between cognitive psychologists in their studies and neuroscientists; each of them needs the other to interpret some observations of their results. Human life and its events and processes are only a set of integrated sensory environmental stimuli, forming a single, consistent pattern, although humans consider different events. Memory is a set of human mental processes, in which external information is acquired, retained, and used for the future. Many human functions require two mental processes that work together to perform these functions: memory and Perception. When a person receives new information and conducts a dialogue, he keeps the information for a short period of time that is called temporary memory or short-term memory. The information is then transferred to permanent memory which is called long-term memory. Each person receives what is in the surrounding environment in a special way that makes him different from others. The total correspondence in the representation process does not occur in individuals, There is, however, some degree of similarity in the representation of some of the vocabulary of the environment, which helps man to live with others. Visualization is a form of cognitive representation, where man has some mental images and cognitive maps of things he encounters in his life, such as landscapes, streets, buildings, places, events, and through these images and maps he has the ability to call the features and events serialized in a particular format and arrangement, and then he converts them to words and sentences used if he wants to describe them to someone else. Language is one of the most important things in cognitive psychology. It consists of actions, names, letters, syllables, and sounds. When a person speaks and is in contact with others, he needs to use his own dictionary that is stored. This process may be accompanied by some of the motor or physical reactions so that the information to be explained and communicated to the recipient in one way. Many people are exposed to many problems in their lives, which require to find the right solution for them. The mechanism used by man to solve the problem that he has encountered is what we call the mental process, which a person does in order to arrive at a solution that was not clear to him. This requires a person to take certain actions, to be used, and to get the person to what he wants. Perhaps you know since primary school that we have five senses: vision, hearing, taste, smell, touch. The idea of ​​the five senses turned out to be exaggerated. We also, have sensitive systems that provide information about equilibrium, position, and movement of the body, pain, and temperature. Exteroception: It includes vision, hearing, olfaction, general somesthesia, and taste. Proprioception: This is the sensation of muscular tension, position and movement, balance and displacement. Interoception: It is vegetative somesthesia and unconscious sensory modalities. There are some specialized neurons in the brain known as sensory receptors that respond to specific types of stimuli. A sensation occurs when sensory information is detected by a sensory receptor. For example, the light which enters the eye causes a chemical change in the cells, which is the line behind the eye. These cells relay messages to the central nervous system, in the form of work capacity and action potentials. The process by which people transform sensory impressions into a consistent and integrated approach to the world around them. Although essentially based on unverified and incomplete information, for most practical purposes, perception is similar to reality and guides human behavior in general. Perception is a process of the psychological processes through which the individual recognizes and reaches the meanings of individuals, objects and different stimuli, and understanding their implications, by organizing sensory stimuli and interpreting them and formulating them in independent units with their own meanings. The comprehensive definition of perception is given as it is a mental process, which helps man to know his external world, and to reach the meanings and connotations of things, by organizing sensory stimuli, to interpret and formulate them in faculties of meaning. Perception is defined as the total set of responses to sensory stimuli produced by different external stimuli, which the individual receives through sensory nerves in sensory organs. Perceptual process is the result of stimulation of sensory organs, through external stimuli, to interpret external sensations through perceived experiences, ie, the interpretation and realization of sensory impressions are based on experiences and knowledge previously stored in memory. It can be said that the process of perception is a highly complex sensory-emotional process; it interferes with feeling, processes of remembering, imagination, attention, awareness, and language. Some perceptual processes may include the recognition of material objects by their names and most essential functions and may include the different meanings and forms of relationships that govern certain physical stimuli. Attention is the process of focusing the feeling on something exciting whether it is emotional or moral. It is the primary determinant of behavior. Attention is defined as an innate tendency inherited by the owner to recognize and focus on subjects of a particular category. We are in contact with more sensory stimulation at a time, that we can fully handle. Without attention, we will not be able to scrutinize everything to address what we must and ignore what is irrelevant. There are different types of sensory impressions that compete with each other for your attention. Attention helps us to maintain perception, sensation, thinking, and behavior despite the distraction. There are different types of attention in cognitive psychology, each of them is dependent on different brain mechanisms and for a different purpose. Attention or meditation can be divided into three main categories: Selection, Vigilance, and Control. There are many theories about different types of attention techniques. Cognition is the realization of concepts, beliefs, facts, and general meanings, such as the concepts of life and logic. It is one of the most distinguishing features of human beings from other living beings. It is the work of mind and brain, which is responsible for the formation of abstract general concepts and far from physical sensibilities. Cognitive process is a mental process based on the development and extraction of the total abstract meanings of imaginary images that are produced mainly from the process of sensory perception and sensory images.